With voices and instruments working together in a group context, participants will acquire the “tools” necessary for bringing a song to life. Come prepared to rock out folk-style (i.e. taking rock songs and folkin’ them up!). If you sing (untrained more or less) and play an instrument (beyond the beginner stage), then this class is for you. Some of those “tools” mentioned will include: how to learn and arrange a song as a group, dynamics within a song, blending instruments, listening to each other, knowing when to play simply and when to step it up, how to play in support of the vocalist or soloist, and how to get out of the way and let the song speak. We will also explore how to do tasteful fills, how to sing in harmony, and performance techniques. Any acoustic instrument is welcome (guitar, bass, dobro, mandolin, fiddle, banjo, ukulele, bodhran, accordion, etc etc), and don’t forget about the voice! 'Canadian Folk Heroine' is the tagline on Cara Luft’s web site. That’s a pretty cheeky claim to live up to, yet it’s a perfect way to describe Cara. 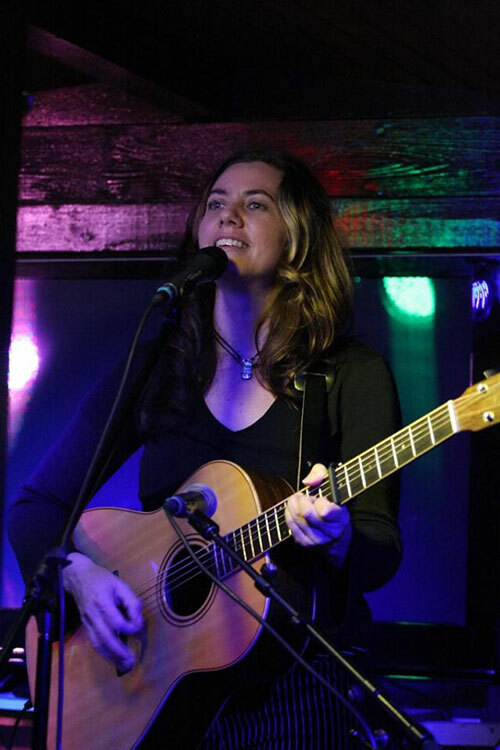 She’s a fine and award-winning musician, singer and songwriter, a plucky performer with an impish sense of humor and a founding member of a Canadian folk super-group. To quote the roots magazine No Depression, "Luft has a rich tradition in folk music – it’s safe to assume that she knows her stuff – and upon listening it becomes quite clear that she is indeed a formidable songwriter and performer. ”Darlingford” marks her third release as a solo artist, and finds the lovely Ms. Luft continuing to hit her stride and setting the bar for the talented few who’ll follow in her footsteps."